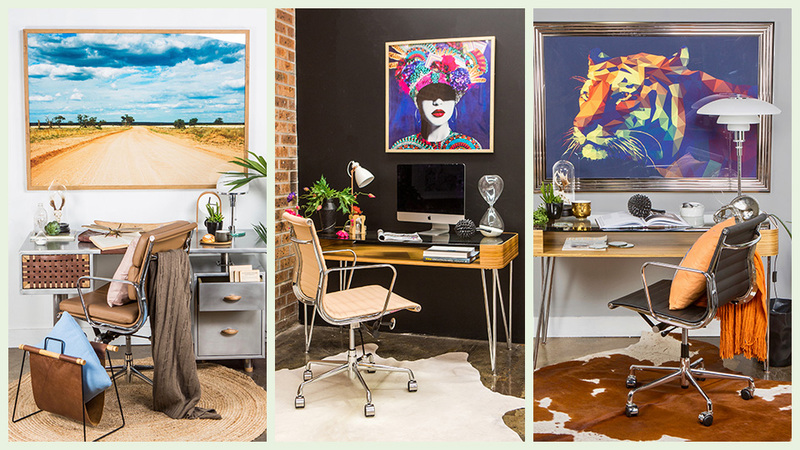 Home offices styled by Matt Blatt furniture. Image: Matt Blatt. For anyone who has ever dreamed of having their own home office and making it a stylish yet productive space, there are a few things to consider. 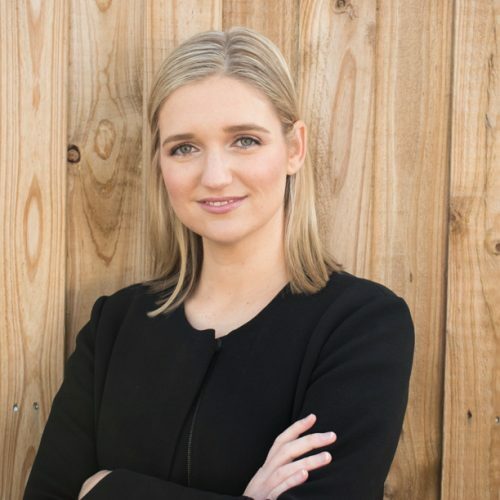 As an interior designer and stylist at furniture brand Matt Blatt, Judyta Hulme has a breadth of experience when it comes to creating home offices. Hulme believes that a home office should strike the balance of being a space that encourages productivity while offering inspiration. This can be achieved by creating an environment that is comfortable and calming, while incorporating accents of colour or items that bring you joy, says Hulme. Here are Hulme’s tips for those who are looking create a home office from scratch or those who want to bring a little more intention to an existing space. 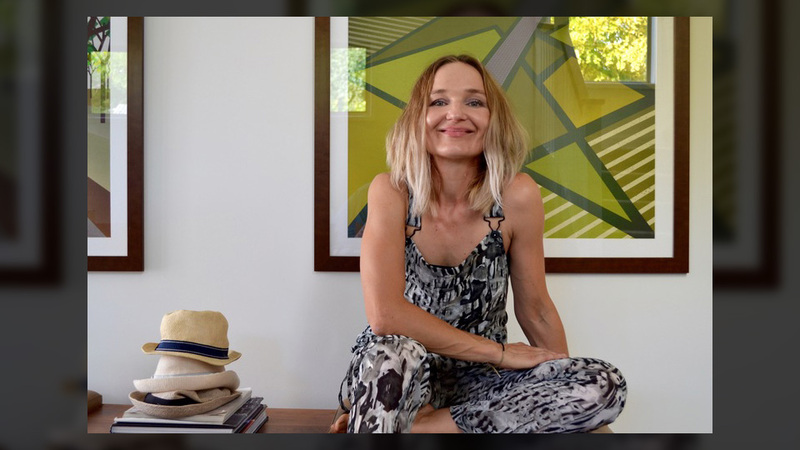 Interior designer and stylist Judyta Hulme. 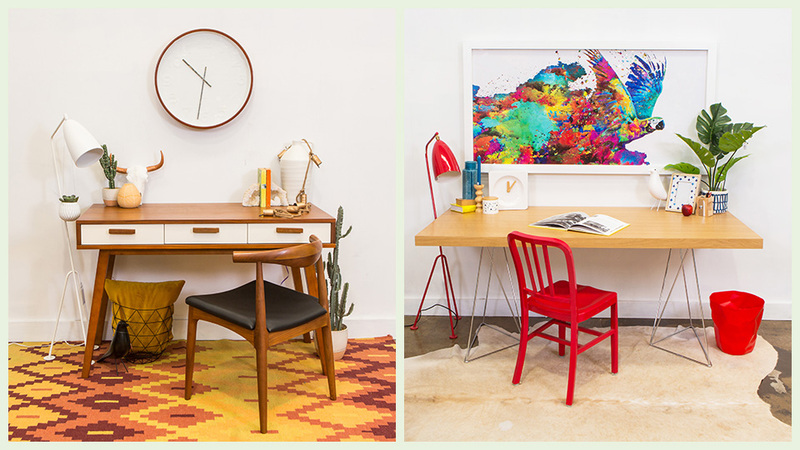 The foundation for any home office is to start with a decent table and chair, says Hulme. “The big make or break item is the desk chair – you need to make sure it will support you and give you the level of comfort you need,” she says. 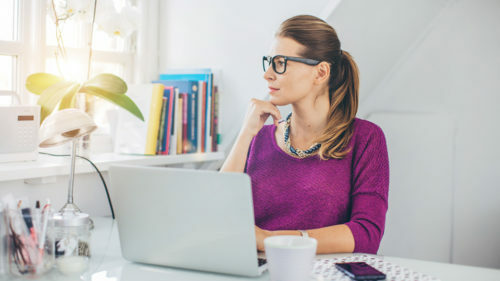 Investing in quality furniture, such as a sturdy desk, and a chair that offers a good fit and support will allow you to work comfortably and, in turn, be more productive. For the desk, you’ll need a piece that fits your home office space and suits your working style. If you are incredibly organised and like a minimal approach, a small desk may be suitable. 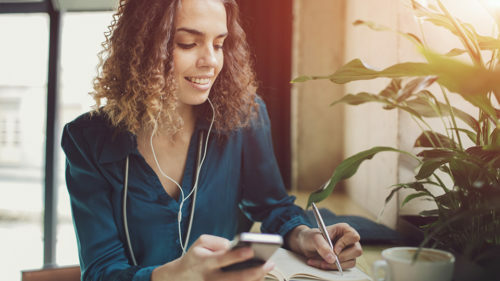 However, for creative professions that require sketching, brainstorming and working across multiple mediums, you will need the ability to spread out and may require a desk with a larger surface space. Hulme says taking the time to research the appropriate ergonomics for your work space is important. 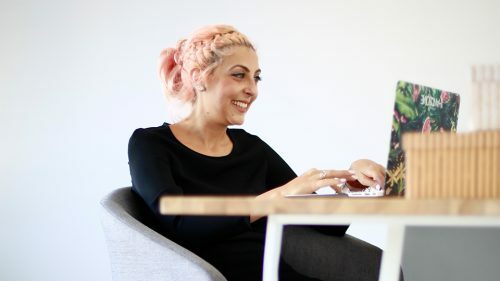 “Remember, you’re going to be spending a lot of time working in this space, so the first thing you need to make sure of is that things are comfortable,” she says. The purpose of a work space is to concentrate on the task on hand, so you want your home office to be a space that is calm and encourages productivity. Complicated styling can distract, so Hulme suggests keeping the design of a home office simple and cool. She advises sticking to neutral colour palettes, such as soft greys, as it keeps the space calm while making it easy to add pops of colour through accessories or wall paper. Adding a rug can also bring in an element of colour, and make the room feel more cosy. “Greens can also be calming and can often make smaller spaces feel more open,” Hulme says. Matt Blatt offers a range of furniture suitable for a home office. Image: Matt Blatt. Lighting is important when it comes to styling a home office, Hulme says. 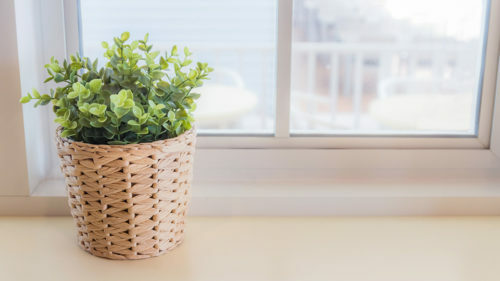 If you’re able to, position your desk near a window so you can receive plenty of natural light which is essential for mood and comfort. “A table lamp, floor lamp or interesting pendant lights can make a big statement in a home office while providing lighting,” she says. “Too many people hide their office desk away in dark corners of their homes,” Hulme says. If space permits, place your office desk in the centre of the room facing the door way entrance or facing a window that offers a view of the outside world. This will make the space feel more open and connected to the rest of your house. If your home office is in a small space, facing a wall or in a zone within a bigger room, create a focal point by hanging an artwork in your line of sight. Hulme says having the ability to take short mental breaks while working, whether that be looking out the window or at your favourite piece of art, will help make the space a productive one. Another way to achieve this, if your home office allows for the space to do so, is to have an alternative seating area to your desk and chair. This might be an armchair, small sofa or ottoman and offers you a spot to take a break or change your position to keep that productivity flowing. Hulme says she cannot emphasise enough the importance of good storage in a home office. “Clutter kills any work space, so don’t overdo the styling and keep the area clean and open,” she says. Reserve as much desk space as possible to allow for focus and clarity when working, and keep accents and accessories confined to spaces where they will not interfere with your day-to-day tasks. Keep cabinets low to the ground as you don’t want them to dominate the room, and try to place office technology, such as printers, out of site. Open book shelves look great if kept to a minimum. You can use these to display books and art works but endless spiral binders or filing folders are best kept in cupboards or drawers. “Look for desks or furniture that offer storage combo solutions as these work wonders in hiding the mess and clutter,” Hulme says. Do you have any helpful tips to make a home office a more inspiring and productive space? Share it in the comments section below. 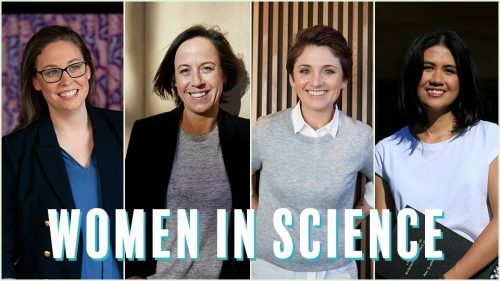 Four women have been recognised for their contributions to science in Australia. Read on to learn more about their achievements. Although routine keeps us productive, it can sometimes feel suffocating. Here are three things you can do today to make your life feel less mundane.